The Giller Prize finalist answers eight questions submitted by eight other authors. 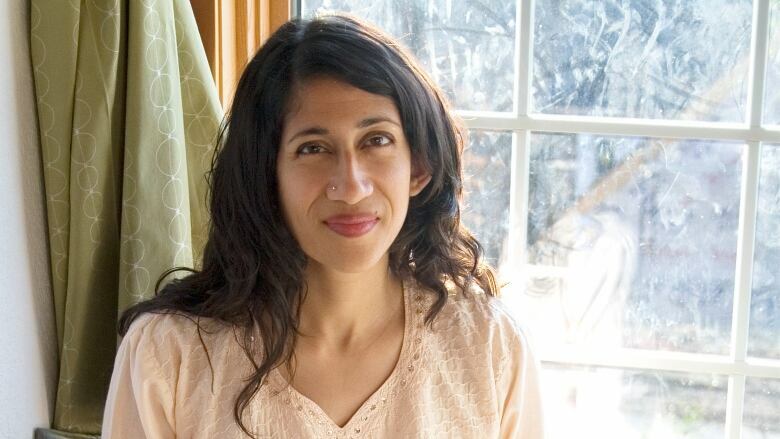 Padma Viswanathan's debut novel, The Toss of a Lemon, was a bestseller in three countries and was shortlisted for the Amazon.ca First Novel Prize. Her second novel, The Ever After of Ashwin Rao, was a finalist for the Scotiabank Giller Prize. Below, Padma Viswanathan answers eight questions submitted by eight of her fellow writers in the CBC Books Magic 8 Q&A. 1. Charlotte Gill asks, "What does your afterlife look like?" I want to be composted, so I suppose my afterlife looks (and smells) earthy and wormy and, eventually, like a tree, which might compensate a little for all the paper I consumed during my life. 2. Kenneth Oppel asks, "Would you ghostwrite a trashy book if you were offered enough?" Totally! I'm not really a 'no' person. 3. Claire Holden Rothman asks, "Do you read other people's fiction while you write early drafts of your own? Why or why not?" I do. I admire writers who withdraw from others' work while they write, but I am constantly seeking nourishment. I think I would dry up if I didn't read. 4. Sharon Butala asks, "As a woman writer I am fascinated by the concept of the muse. But what is a woman artist to take as her muse?" 5. Tracey Lindberg asks, "Who, from literary Canada, is your dream Trivial Pursuit partner?" Maybe Paul Quarrington? I need someone who can cover sports and at least help with entertainment. 6. Billie Livingston asks, "Rilke said, 'A work of art is good if it has arisen out of necessity.' Do you think that's true? Do you feel that writing is an absolute necessity in your life?" Yes, an absolute, urgent need. Writing is the only method that I have found of dealing with the mess of my mind and the mess of the world and the mess of every path between my mind and the world. If there were any other way to integrate my being, I wouldn't write. 7. Susan Juby asks, "What is the most painful literary rejection you ever received?" Being rejected by the Banff Centre's Writing Studio. I applied with my first novel and had somehow convinced myself that my work would be to the director's taste, so I was crushed. It's a story I like to tell aspiring writers, though, because, some 10 or 15 years later, a different director, Greg Hollingshead, invited me there as faculty on the strength of that same novel. 8. Timothy Taylor asks, "How important have your other work choices — i.e. the things you've done to make money — been to your literary writing?" Not particularly important, except when jobs kept me from writing. For me, it's ideal to have a predictable income from some work that lets me reserve mornings for writing. Otherwise, all non-writing work falls in the category of "life," which is only related indirectly, and often mysteriously, to writing.